In a case that demonstrates the importance of paying court ordered child support – as well as the importance of complying with court orders to pay support – a 74-year-old mother has been awarded $150,000 in back owed child support, despite her divorce being finalized 50 years ago. The divorce court had ordered the father to pay $160 monthly as child support. Shortly after the divorce, the husband and father of the marital child left the country to live in Canada. He sent a single child support check that bounced, but when the mother learned that he had returned to the country, she sought to be paid the child support for all the years he had been gone. The woman says that she woke up in the middle of the night and realized that there was no limitation on her collection of support, dug up her court paperwork, and went to work collecting. Although the support payment was only $160 monthly, the amount ballooned to $150,000 because of time and interest on the judgment. Under Florida’s child support laws, the woman’s realization about there being no limit on the collection of child support would be only partially correct. If a judgment is obtained that orders the payment of support, there is no time frame to collect on the judgment. Generally, even many years after the judgment is entered, a party entitled to receive support can ask the Court to enforce the order, and can obtain a judgment for back owed support. However, there is a 24-month limitation on collecting back support if there is no existing child support judgment. For example, assume that the husband moves out of the marital house, and the wife is the primary custodial parent for 5 years. If the parties then finally petition for divorce, only two years of support (prior to the petition for dissolution) could be awarded. This problem often arises in paternity cases, where the parents are unmarried when the child was born. Mom may be raising the child. 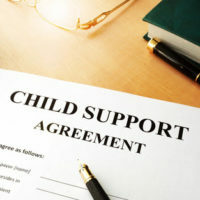 If she decides to petition for paternity and child support when the child is ten years old, only the previous 2 years of support will be awarded. Whether back child support is ordered for 24 months or 50 years, the paying parent will have a right to prove income (or lack thereof) during that time period. So, for example, if it has been 10 years since a child support judgment was entered, and mom decides to enforce the back owed support, dad can argue to a court that he was unemployed for 5 of those 10 years, and have his back child support adjusted accordingly. In some cases, the non-paying parent would be able to get credit for voluntary payments made for the child’s benefit that were not ordered by the Court. For example, if a party voluntarily paid additional day care or health care expenses, the Court can take that into consideration when determining the amount of back owed child support. Our Tampa child support attorneys at the Pawlowski//Mastrilli Law Group can help you with any child support payment, collection matters, or defenses that you may need to assert in court. Contact us today for more information.